The exam days of many examinations are not too far and there are hoards of notification released in the recent days. The patterns of exams varies from time to time and all the exams don’t have the same pattern and there are difference of patterns for different posts too. Knowing about the exam is too important as clearing the exam , as the former is important for achieving the latter. So knowing the exam pattern and the tricks to clear the exams is very important. Many exams have changes in the preliminary examination too and the last phase of a Higher grade post is Interview. The last phase of the lower grade posts are Regional Language Proficiency test. The Regional language proficiency test assess your local language skills because at the end of the exams , after every process and getting appointed as a Assistant in banks or in Insurance firms , they have to converse with the local people in their own language or language pertaining to that particular state. 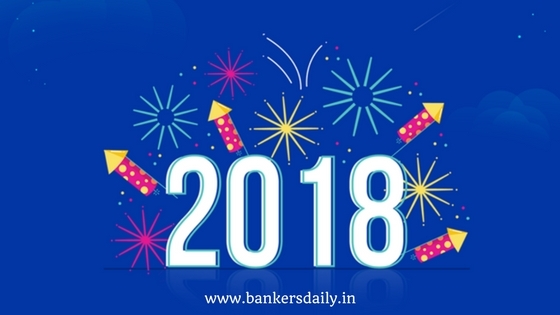 This is same to both Banks and Insurance companies and banking related firms. This change was done after the interview process for the lower grade posts were removed based on the verdict by the premier legal system in India. This brought the change and after 2014 every exam in the Assistant and the lower cadre exams don’t have the interview process added in their exam pattern schedule. Apart from that , they started to have Regional Language Proficiency Test to test the language proficiency of the candidates in the desired language. Regional Language Proficiency Test or Local Language Proficiency test like the other examinations are held in different manner. We cannot specifically mention it is as a single core thing. Even in the recent days many exams had regional language proficiency test as the final process in the selection of assistant posts. One such exam in the recent times is NIACL. So how is the regional language proficiency test conducted ? Is it a Oral Test or a Written Test ? Will I have to be very fluent in the regional language which i have preferred ? I have studied my schooling in the Local Language , Should I too take the Regional Language Proficiency Test too ? These questions pester the minds of the candidates during the exams. Even in IBPS RRB Office Assistant (Multipurpose Post) , the regional language test is the final one and we had the previous questions from the aspirants in our website. That’s why we thought of researching this one and give accurate informations to the aspirants. There are states in which there are multiple local languages spoken and what if one doesn’t know that , was the most asked question. If there are multiple local languages in a particular state , then the banks or insurance companies will clearly mention the preferred local language knowledge needed by a candidate in the notification the exam. So aspirants , you don’t need to worry about that part anymore. What type of a test is Regional Local Language Proficiency Test ? We have come across multiple answers for this question. In a recent exam , the regional language proficiency test was conducted as a written test. Candidates are given a certain passage about a certain topic and are told to answer the questions asked from the topic in the regional language test. The candidate should answer the questions after deducing certain informations from the given passage and answer accordingly in the regional language in which the question is asked. (Usually candidates are required to mention the state and the regional language in which they are going to appear for the exam during the application process itself, This cannot be changed at any point during the recruitment process). Also another method is that candidates are required to converse with the higher authorities during the verification process fluently and they will provided marks for your fluency. They just need the fluency and not your grammatical and perfect answers , at the end of the day , as an assistant in a Bank / in Insurance Companies you have to converse with the local people who visit the branch, So it is okay to be fluent in the local language rather a master of the language. We hope you know the difference between mastering a language and knowing a language. Knowing a language is enough to clear the Regional Language Proficiency test. Please also note that many organizations ( like IBPS and individual banks and Individual Insurance Companies ) predefine the nature of the language proficiency Test. Some also mention the years , a candidate have to actually study the local language in their schooling time. So each notification differs in that aspect. So please look out for that in any further notification. We have started LEARN SERIES to enlighten you about the basics of all the topics in Quantitative Aptitude , Reasoning Ability and English Language. Please Click the link below to learn those topics. We have been posting Quizzes regularly on different topics in the Planned IBPS PO 2017 Planner in the website. 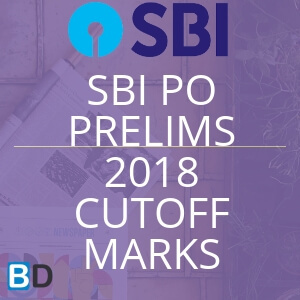 So if you haven’t looked at that , please click the below link to solve more topics from different sections which are in the same standard as asked in the previous SBI PO 2017 Exams. Since the exam pattern for this year IBPS PO too has been changed to the pattern of SBI PO 2017 ( We have been urging the aspirants to prepare for the IBPS PO exams on the basis of SBI PO 2017 and our planner is based on that pattern too with same level of difficulty). So your preparation has to be devised in such a way that even in a worse situation, your preparations should help you to crack the exams.